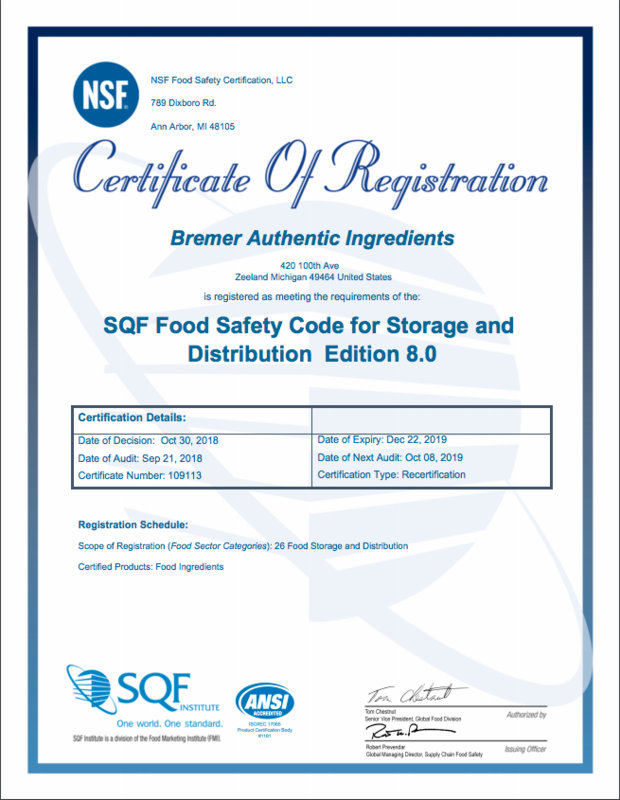 The SQF Program is a globally trusted, recognized, and accepted food safety and quality certification program and management system designed to meet the needs of buyers and suppliers worldwide. One World, One Standard: “Recognized by the Global Food Safety Initiative (GFSI), the SQF family of food safety and quality codes are designed to meet industry, customer, and regulatory requirements for all sectors of the food supply chain—from the farm all the way to the retail stores.” Learn more on the Safe Quality Food (SQF) website. 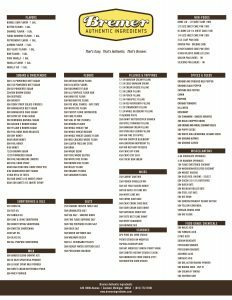 Bremer Authentic Ingredients is committed to providing our customers with safe, quality food products. Following our Food Safety and Quality Management System to meet customer and regulatory requirements. Regularly reviewing our food safety and quality objectives. Having each associate understand and carry out these objectives each day. Providing the resources to achieve these objectives.